Listening to consumers is great. And we’re all for evolution. But what’s the rationale behind the creation of a non-GMO line of spices for which there are no GMO alternatives? The answer is clear: McCormick released its “Gourmet” line to boost profit margins. The average consumer can purchase a 2.37 oz. bottle of McCormick’s Ground Saigon Cinnamon. But if you’re a gourmand, congratulations! With the introduction of McCormick’s new line of spices, you’ve won the opportunity to pay an additional $1.46 to get slightly more than half of the same spice – but “gourmet.” Whatever that means. 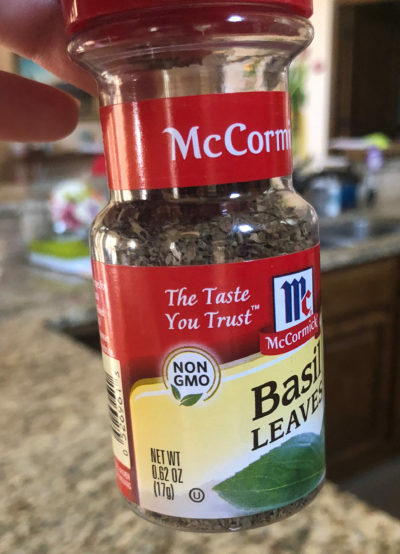 McCormick’s devious attempt to spice up its sales by using deceptive labeling reduces consumer transparency and forces customers to pay more for a product that offers nothing unique – other than an appeal to their culinary aspirations. 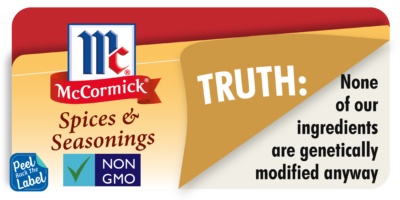 Tell McCormick, enough with the misleading label on their “gourmet” spices by contacting them on Facebook, Twitter or over email today.